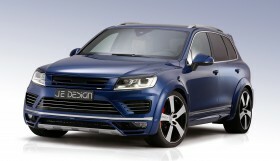 The new Touareg measures four centimetres longer than its predecessor. 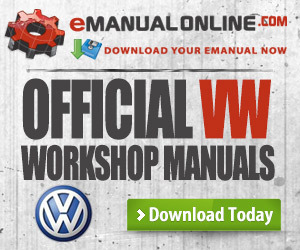 However, only JE DESIGN makes the big VW wider. 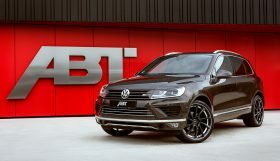 A combination of alloy wheels and a lowered stance bestows the new JE DESIGN Widebody kit conversion of Wolfsburg’s new SUV with a more striking appearance and a “king-of-the-road” like presence. The performance enhancement lives up to the visual appearance one expects from the widebody in an impressive way, and the superb interior is nothing but luxurious. 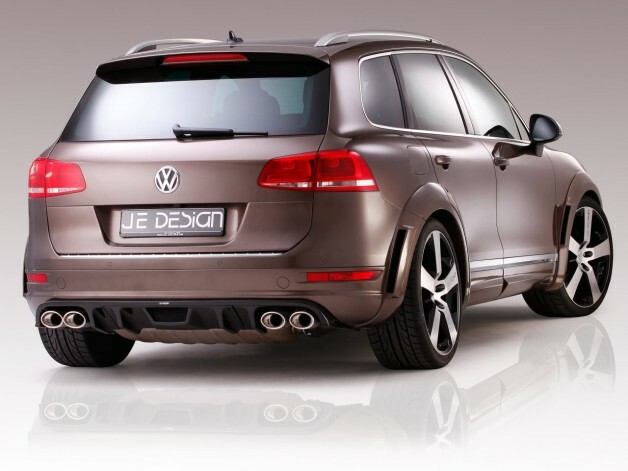 The JE DESIGN Widebody kit is now also available for the new Touareg R-Line. 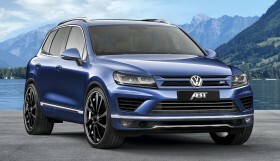 Coming off the assembly line of VW, the SUV already has a sporty design; but now it is fitted with a new sports grille, front spoiler, front and rear wheel arch kit, rear apron insert, and a tailgate panel that make it look much more aggressive. All of this is available for 4641 Euro (manufacturer suggested retail price) including applicable taxes. All components are precisely fitted and manufactured in polyurethane (PU) or a fibre-reinforced composite and are supplied ready-primed. This customisation comes to a perfect full circle by adding the dual exhaust system with oval stainless steel tailpipes on either side (120 x 85 mm) at a price of 595 Euro. To help ensure the new-found power is utilised to its fullest extent, the electronic suspension module lowers the vehicle and brings it 35 millimetres closer to the tarmac – all for a price of 1428 Euro. 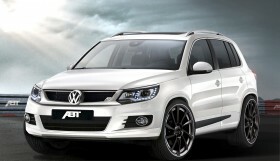 This makes the new alloy wheels look even more impressive. 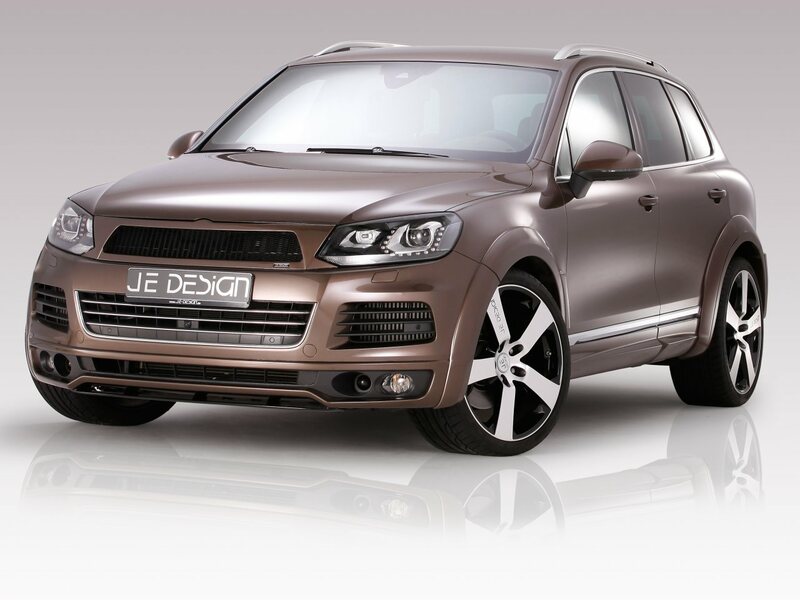 JE DESIGN equips the Wolfsburg vehicle with its SUV-Select design, 10×22 inch aluminium wheels and adding ultra high-performance tyres of the size 295/30. In addition, a wheel spacer kit (30 millimetres in front, 40 millimetres in the rear), available at 409 Euro, ensures that the wheels fill the extended arches to achieve an optimum effect. In order to individualize the wheels, they are available in three different surface finishes: shadow silver with a polished front, matt black with a matt silver front, and matt graphite silver with polished edges. 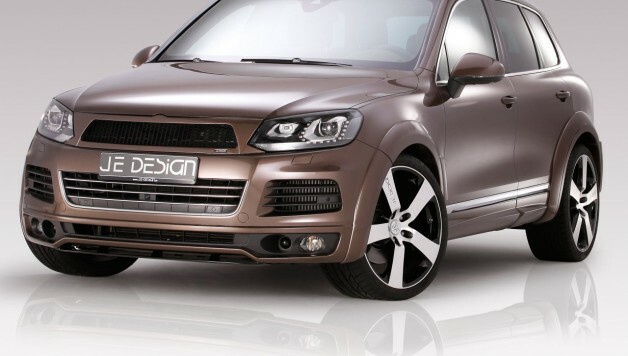 Custom-painted wheels are also available so that every Touareg owner can customize his vehicle to his own taste. 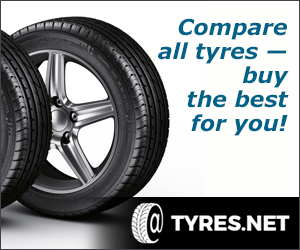 JE DESIGN offers the complete wheel/tyre package for 5190 Euro. Rims are available from 690 Euro each.